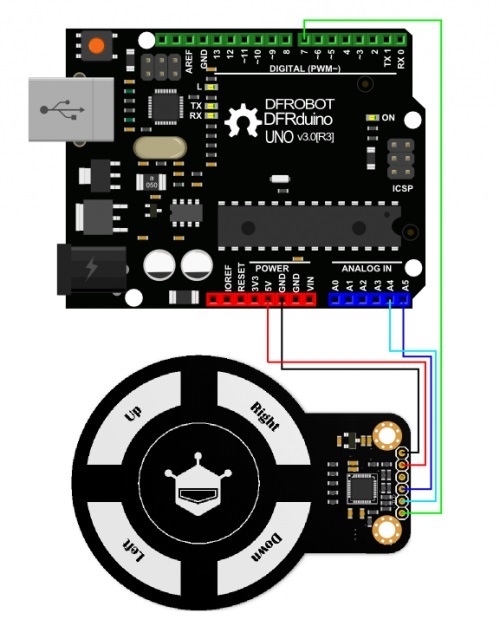 The DFRobot 3D gesture sensor is an interactive sensor that integrates 3D gesture recognition and motion tracking. This gesture sensor can be used to detect clockwise/counterclockwise rotation and movement directions. The gesture sensor is designed based on Microchip patent GestIC® technology, using electric near field sensing technology, including 3D gesture input sensing system and advanced 3D signal processing unit. The effective detection range is 0-10cm. This gesture sensor can be applied to various interactive projects. Dimensions : 72 x 54 mm / 2.83 x 2.12"